July 1968 marked the opening of the Department of Computer Science at the University of Saskatchewan. In September 2018, we celebrated our 50th anniversary and all that we have accomplished. From ground-breaking research to student learning, the Department of Computer Science has come a long way and continues to grow and innovate. The celebration included a variety of events for our alumni, faculty, students, partners, and special guests to revisit the campus, reconnect with old classmates and instructors, and find out what we have been up to all these years. 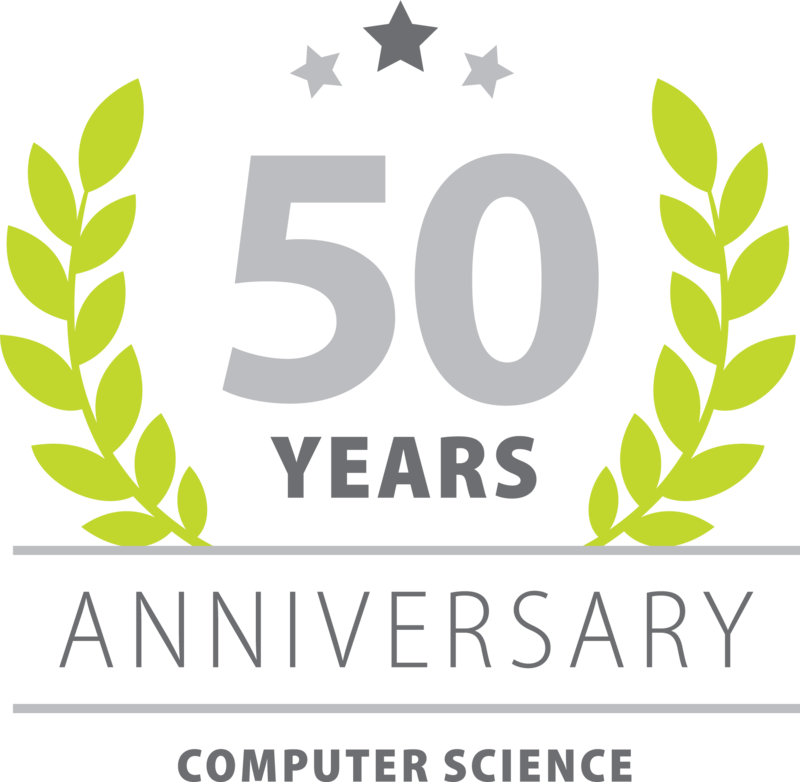 The Department of Computer Science held its 50th Anniversary celebration September 21 - 23, 2018. Browse the photo gallery from the fun filled weekend! "Heads and Tales" documents over 50 years of history in the department, spanning from before the department was even formed, to present day. Read as each of the department heads recount their time on the job, chronicling the ups and downs of the department through the years. A lot has happened in the last 50 years, and there's even more to come.